Are you a passionate traveler, excited to visit London for the first time? Then you should pay attention to the chosen accommodation, as sightseeing will be your main objective and you do not want to pay too much on transport or stay too far from the main local attractions. Of course, you should also take your total budget into consideration and balance comfort and modern facilities with low prices and modest rooms. If you can afford to spend a little more or you are a person with very high expectations when it comes to customer care service, then we would warmly recommend you to take a look at Park International Hotel. 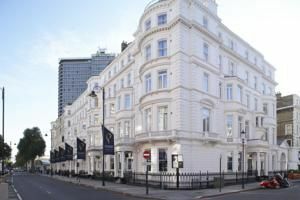 This splendid accommodation is located in Chelsea and Kensington area, meaning that you can reach the Natural History Museum, a shopping session at Harrods or a concert at Royal Albert Hall in only a couple of minutes. The interior design is amazing, providing all the comfort that you need. Moreover, modern facilities and professional staff will turn your holiday into a great one. In order to get a Luton Airport to Park International Hotel Transfer by rail there are three main options. First of all, you could take a bus from Airport Bus Station (every 10 minutes), followed by a train from Luton (every 30 minutes) via King’s Cross St. Pancras (every 5 minutes), and ending with a 4 minute walk. This journey will take about 58 minutes in total. Another option involves a bus from Airport Bus Station (line 757 – every 30 minutes) via Marylebone (line 74 – every 10 minutes). This trip lasts for about 1 hour and 27 minutes. You can also take a bus from Airport Bus Station (line 888 – every 10 minutes) via Luton Airport Parkway Station (every 20 minutes) and Marylebone (line 74 – every 10 minutes). This whole journey takes 1 hour 31 minutes from your time. A Luton Airport to Park International Hotel Transfer by car can be done by taking the M1 motorway. Luton Airport is at a 34.0 miles distance from Park International Hotel. This journey will take about 52 minutes, without including traffic. A Luton Airport to Park International Hotel Transfer with 247 Luton Airport Transfer is going to take about 1 hour and 14 minutes, including rush hour traffic. The price for a Luton Airport to Park International Hotel Transfer starts from 56 GBP.